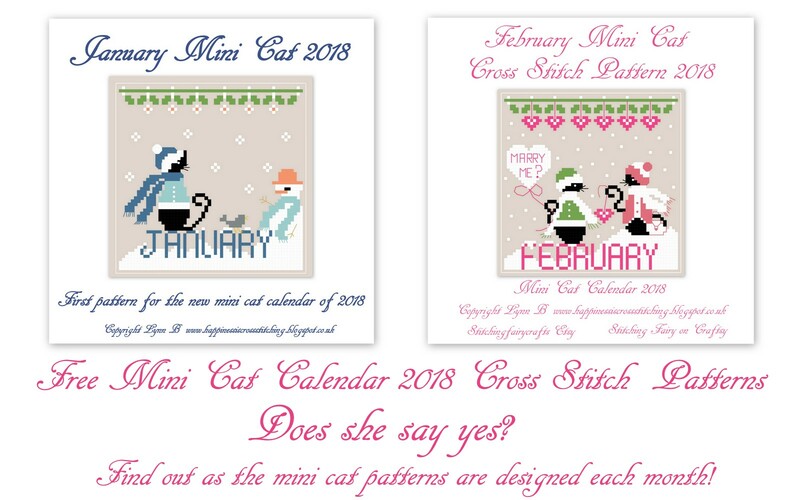 Hi everyone, it's freebie friday and time for the last two designs from the 2018 mini cat calendar series, I cannot believe how the time has flown by! 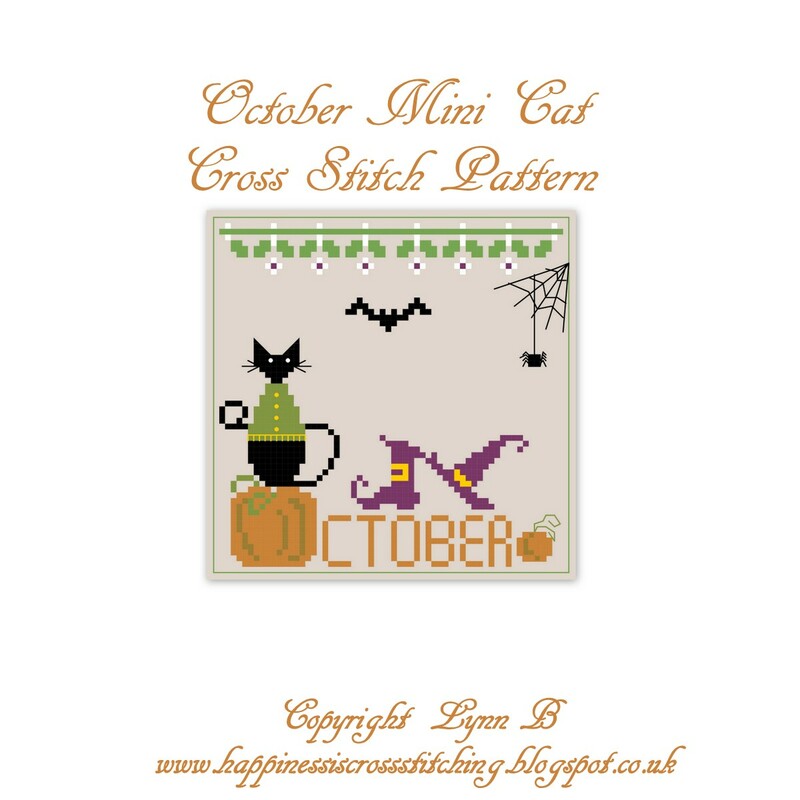 Hi everyone, September freebie mini cat pattern is ready for download! 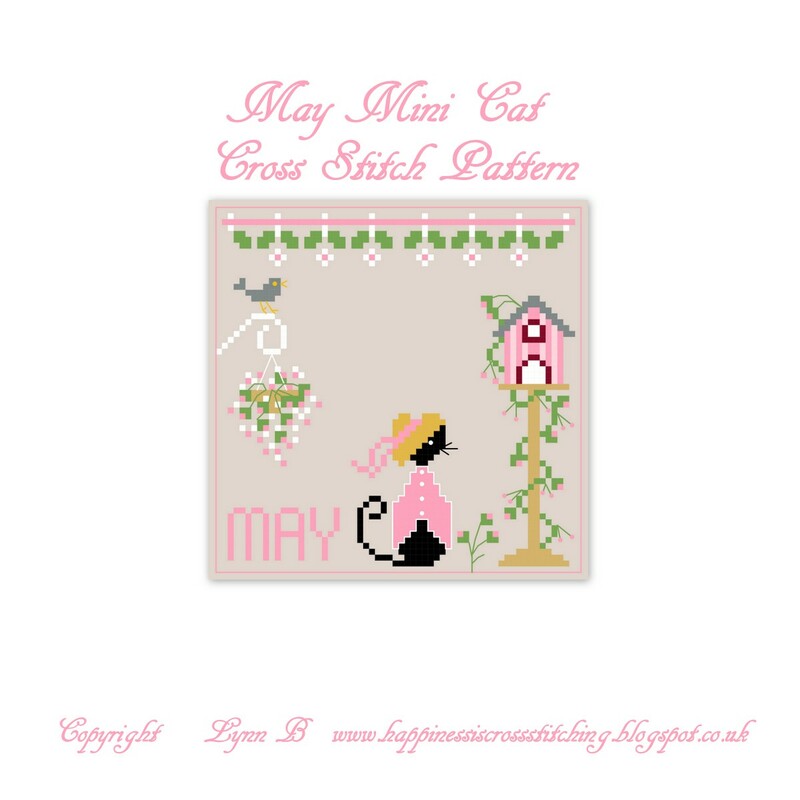 Hi everyone, sincere apologies for the delay of posting the free mini cat pattern for August, we had a large storm in France which managed to disconnect power lines and the internet was off for about three weeks. A large tree in my garden was struck by lightening and it came crashing down, thankfully not near the house! 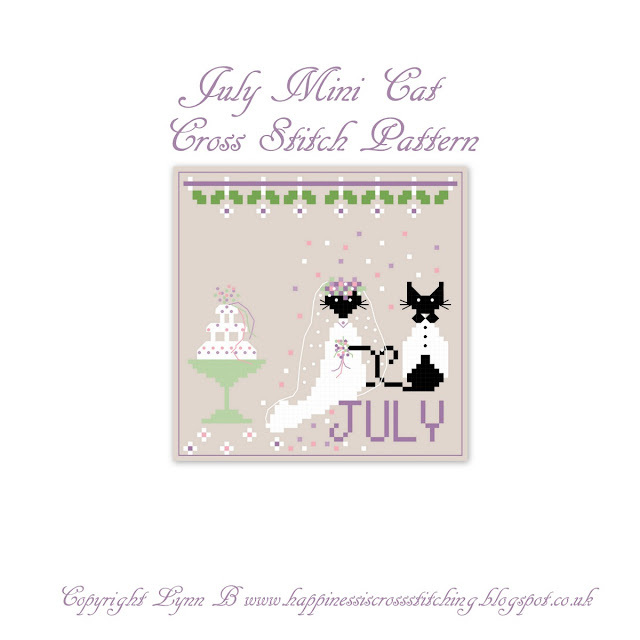 Freebie Friday - July Mini Cat........... The wedding!!!! 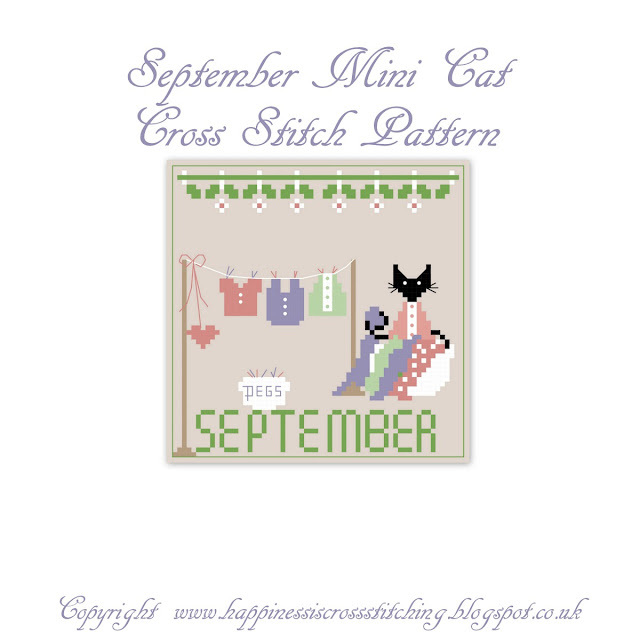 Hi everyone, Mini Cat and Miss Mini are married!!!! Cross stitching, a new shawl and an award! 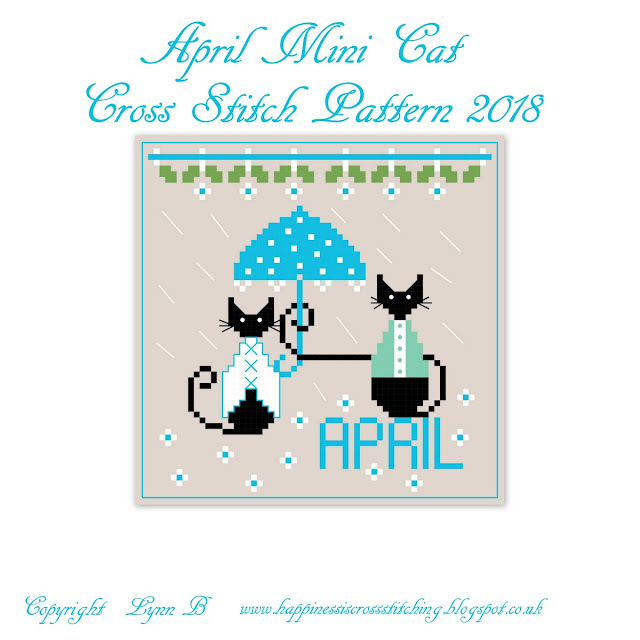 Hi everyone, I have started a new cross stitch this week and caught up with stitching mini cats from my calendar patterns. H everyone, apologies for the delay in posting June mini cat, I have had computer problems. 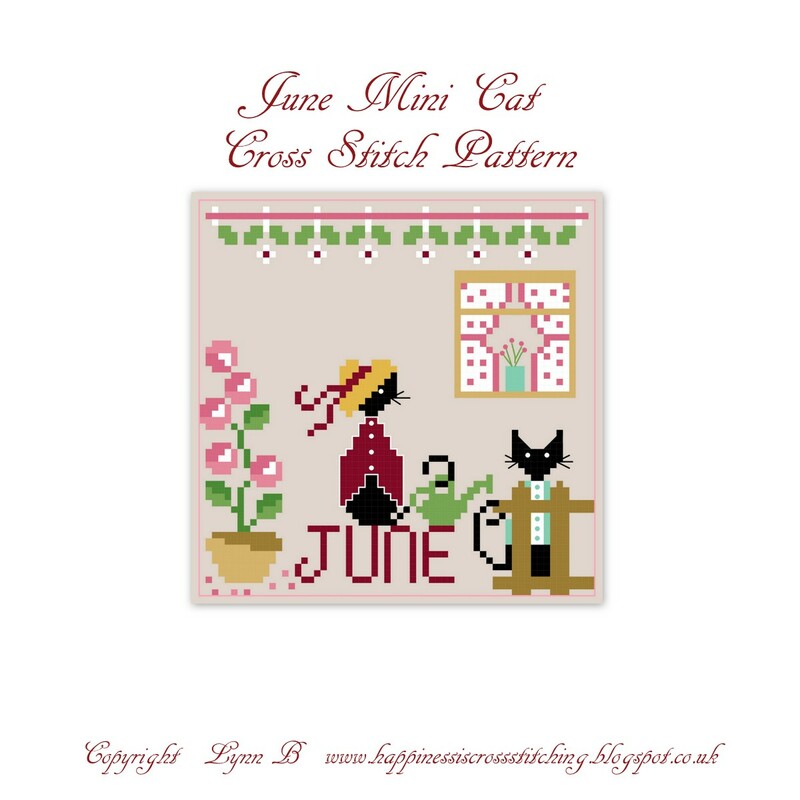 Miss Mini is tending to her roses whilst Mini Cat assists! The full pdf is available in my Craftsy store here or my blog shop, or if you wish to use your own colours just click on the pattern and then click "save as" to your computer. 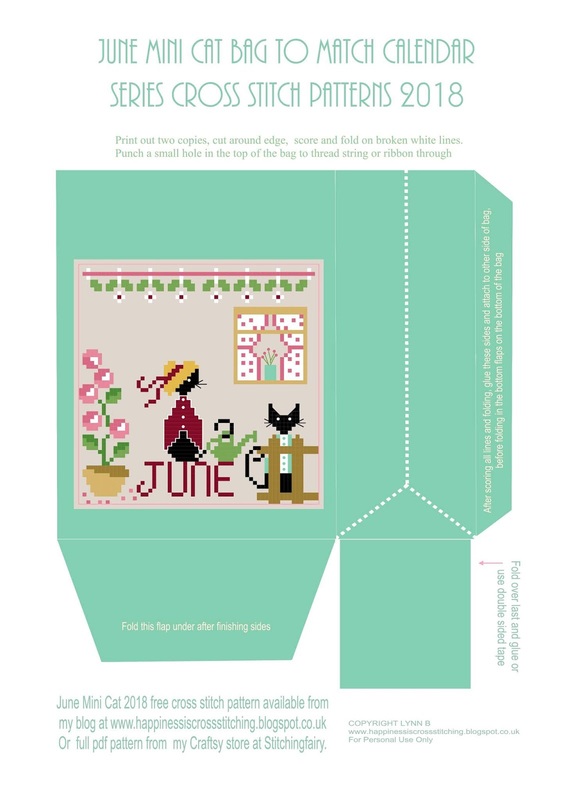 Here is the mini cat printable bag to match, just print two copies to make the bag. 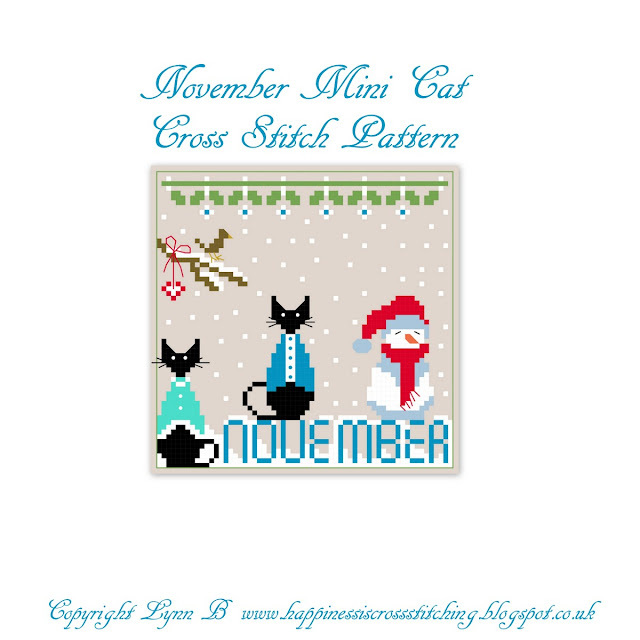 It's Freebie Friday and that means another mini cat calendar pattern! Hi everyone, here are my latest mini cat finishes for the 2018 calendar cross stitch patterns. Its Freebie Friday and that means another mini cat freebie pattern! Hi everyone, its been a while since I last posted but I have been doing a bit of stitching and finally managed to finish one of my mini cat patterns into an ornament. 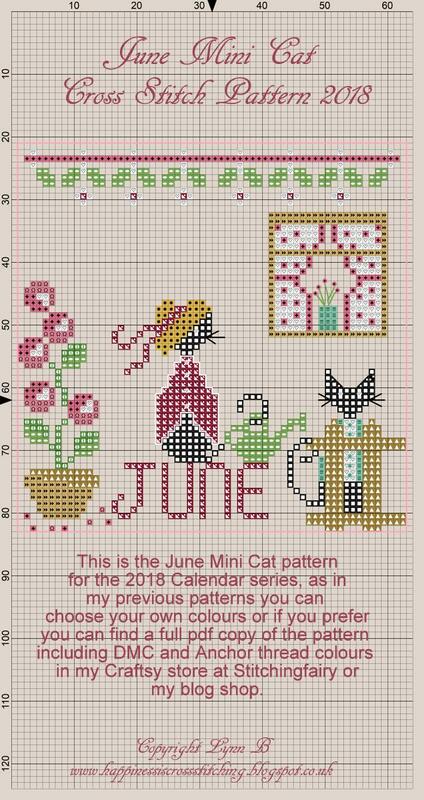 Hi everyone, I managed to complete the January pillow before the month end. Hi everyone, January and February Mini Cat 2018 calendar cat freebies are here! 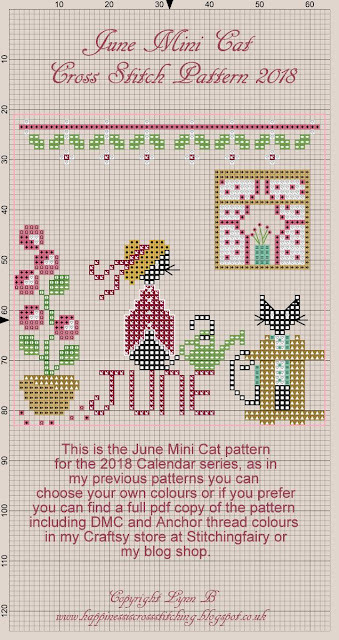 Hi everyone, I thought i was about time I returned to stitching these Christmas ornaments, I lost interest in them for a while because I needed some more beads to trim the edges. 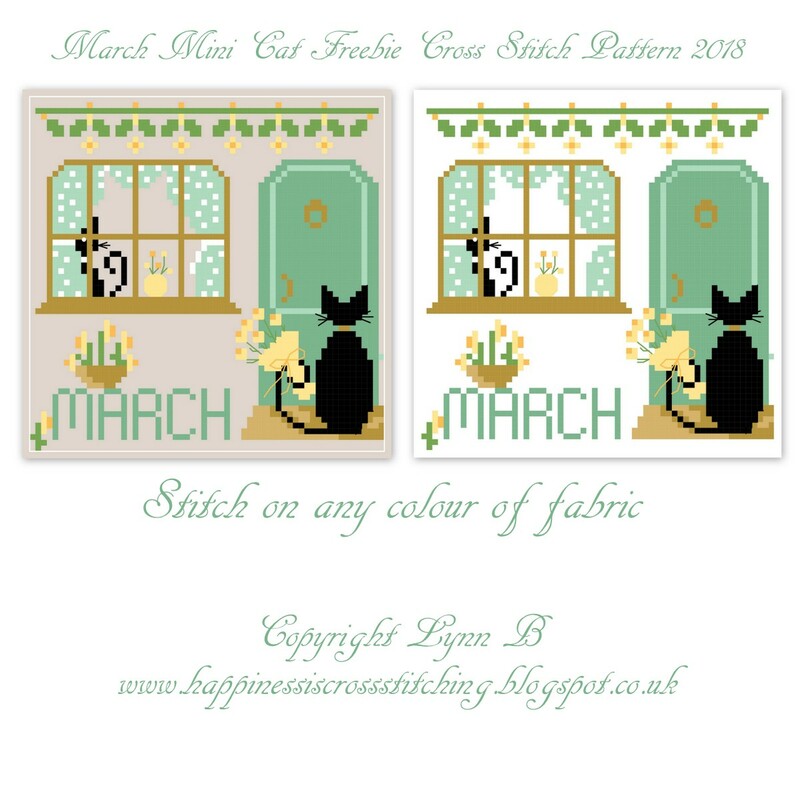 Hi everyone, hope you all had a lovely Christmas and a Happy New Year, we had a quiet time in our home in France snuggled by the log fire, which we love.